I’m trying to set up my own personal R library on our HPCCC. The current configuration does not allow me to use .Renviron to specify the location of my library as the home directory on the compute node is set up to be different from the home directory on the frontend node [side note: I wish our HPCCC admin is smarter than what he is now, and set this up correctly, so that we won’t have all these troubles again and again. So, the only solution I have is to install my personal library on the frontend node. Then, add the path to this folder in all my R script that I want to run. I then have to combine the output from the above command with what exist on the system already. This way, on the compute node, my personal R library can still be located. I am trying to make my own manhattan plot the way I want for a long time, and this one seems the be the shortest version that I come up with. Here’s the feature of my function. 1. Should be transportable. Only requires “CHR”, “BP”, “P” to run at a minimum. 4. It is based on basic plot function. So, you can add title to your plot later on. Add more color points, using points [need to convert your coordinate to the same way first]. 1. I use the order on chromosome, instead of chromosomal position. So, it is not good to use this code if you only have one gene, and want to the signal location on the chromosome. 2. 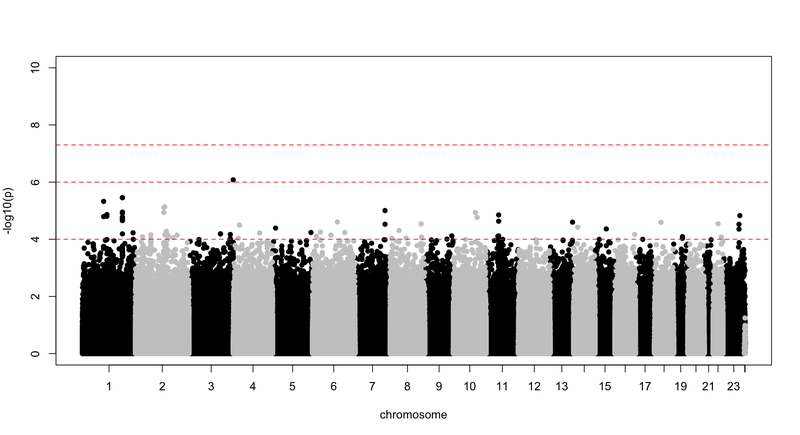 The signals are overlapping between chromosome in the low p-value region. However, this does not obscure your signal in the top. Improvement can be added. 3. 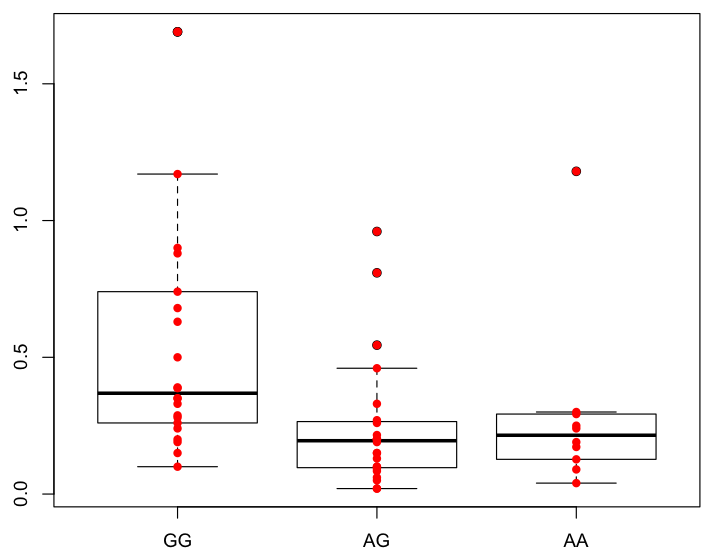 Not all chromosomes are labelled on the X-axis. This is probably the most annoying things that need to be improved. 4. It doesn’t have much advantage in terms of speed. It still took 83 seconds to plot 860,000 signals. That’s roughly 10,000 points per second, though. Besides all these it still seems pretty good.